This unique dinner series provides a networking opportunity among colleagues in the field of nephrology, compelling presentations by thought leaders in chronic kidney disease, and an opportunity for group discussion. The program and dinner are complimentary to attendees but registration is required. Space is limited, register early! Atypical Hemolytic Uremic Syndrome (aHUS) is a chronic, progressive, life-threatening condition with systemic impact. Early diagnosis is critical to improving patient outcomes. This program will address the diagnostic pathway in the management of patients with aHUS, its role in kidney damage and kidney failure over time, and the role of complement inhibitors as a treatment. 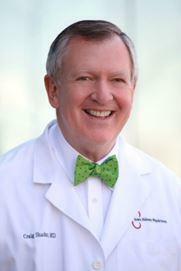 Dr. Craig A. Shadur, Iowa Kidney Physicians, is board certified in both Internal Medicine and Nephrology. Dr. Shadur completed his undergraduate degree at Northwestern University and his MD degree from the University of Iowa College of Medicine. Following this he finished his medical training at Harvard Medical School completing his Internal Medicine Residency, Nephrology and Transplantation Fellowships. Dr. Shadur is past President of Iowa Methodist Medical Center medical staff, and has served as clinical faculty at the University of Iowa Carver School of Medicine. He is currently a Fellow of the American Society of Nephrology and serves on numerous committees with the National Kidney Foundation and American Society of Transplantation.